In Power, Weblogs and Inequality (2005)⁠, Shirky argues that the blogosphere can be understood as conforming to power law distributions, which basically means that, if one was to order each blog according to the level of public interest, the amount of interest in each blog declines exponentially for each step further down the list. To some, this observation might seem to be in conflict with the popular belief that social media, and the Internet in general, is democratizing media by empowering elites and non-elites alike with egalitarian access to the same platform, which is well expressed by Shirky’s TED Talk on the matter, available here. However, as I will assert, these seemingly disparate views are not only compatible with each other, but complementary, according to the broader themes of social network analysis. The revolutionary component of the Internet, according to Shirky’s TED Talk, is that, while previous innovations in communications technologies allowed for either the broadcast of a specific message to a group of people or for one-on-one conversational discussion, the Internet allows for both. An institution can post a press release online for anyone to read, which is similar to publishing it in a book, but then, because the medium is online, individuals are empowered to not only respond to the publisher directly, but to discuss the press release with other members of the audience in discussions that the original publisher might not even be privy to. Prior to this, the basic structure of the media could be understood hierarchically – elites produced information that was reiterated down the pyramid to distributors capable of directly communicating the message to the media consumer. However, when the same media consumers can use the medium to discuss the message, or to broadcast their own message, elites can lose control of the narrative, and the hierarchy starts to flatten. In a flattening hierarchy the relative power of previously disenfranchised members begins to increase, but, more importantly, their collective power increases as well. Any given individual person with a blog is probably not the most powerful, influential, or insightful news analyst in the world – they might not even be particularly good writers – but, as the small world experiments prove, they are almost certainly connected to a wildly interconnected social network, in which they are located six hops or less to any given media elite, and, indeed, the most influential individuals in the world. Furthermore, if one accepts the argument that increased weak ties are proliferated by the Internet, these distances are presumably diminished even further. In an environment where any individual’s tweet could plausibly appear in the President’s feed, the aggregate opinions of the masses isn’t just a question for academics and pollsters to answer, it is the other half of a feedback loop that increasingly characterizes the relationship between media elites and media consumers – in other words, Joe Schmo’s online take on renegotiating NAFTA is more important than it used to be because, even if Joe’s mother is the only person who will ever read it, it is one of many components of a broad, bottom-up reflection of the media’s narrative, which can only be characterized collectively as critical and oppositional by nature, or else it wouldn’t have been written in the first place. I think that I disagree with Shirky’s assertions that the imbalances found in power law distributions can be thought of as fair, especially in the domain of interpersonal communications specifically, but I do agree with the assertion that seemingly unimportant people in this hierarchy can have an enormous impact on elites. There is an unanswered question about normativity – just because public forums tend to be imbalanced due to seemingly arbitrary reasons, doesn’t mean that they necessarily ought to be. Likening massive group discourses to typical in-person conversations is, perhaps, an oversimplification, but, oftentimes, it seems that the individuals who consistently dominate these discussions again and again have little substance to offer the collective, while the listeners, the noncredentialed thinkers, the marginalized, and those similarly overlooked individuals are the ones with the most insightful perspectives. Really listening and communicating with one another is hard work, and while this isn’t meant to be a Luddite’s critique of the printing press, I think that, to a certain extent, all of these technologies that are meant to make communication easier give us a false sense of interpersonal mastery – electronic communications seems very capable of increasing the quantity of discussions we have, but ill equipped for increasing the quality of our discussions. According to the FBI’s website, white collar crimes, which are described as being “synonymous with the full range of frauds committed by business and government professionals”, are one of the bureau’s principal sections of investigation, as “a single scam can destroy a company, devastate families by wiping out their life savings, or cost investors billions of dollars (or even all three)”. The FBI classifies these types of crimes into three types: corporate fraud, money laundering, and securities and commissions fraud. Two of these classifications, corporate fraud, and securities and commissions fraud, are examined more deeply by the articles that are summarized within this blog entry, demonstrating the potential of social network analysis techniques to illuminate illicit networks typically thought to be difficult to understand by outsiders. In Peoples and Sutton’s (2015)⁠ article, “Congressional bribery as state-corporate crime: a social network analysis”, Peoples and Sutton examine what they assert to be a form of corporate fraud, the contributions made from PACs to Congressional legislators and their impact on their voting behaviors, which they argue to be synonymous with traditional understandings of bribery – precisely stated, their research question is “Is there a statistically significant general effect of shared PAC contributors on vote similarity among pairs of lawmakers in the 109th U.S. House, controlling for other factors?” (Peoples & Sutton, 2015, p. 110)⁠. The authors rely on secondary data analysis, drawing upon financial contribution data provided by the Federal Elections Commission, as well as voting pattern data from the website www.voteview.com . Their methodology is a synthesis of social network analysis techniques and traditional statistical methods. They construct edges between each specific member of the 109th House of Representatives characterized by the similarities in their PAC contributions, and apply a quadratic assignment procedure regression analysis to each of the dyadic pairs present within their network data. Considering the public’s overwhelmingly negative perception of Congress, their results are not surprising – the authors conclude that representatives are significantly influenced by their financial contributors, and that the best theoretical explanation for this phenomenon is an institutional culture of corruption that characterizes Congress. In Hansen’s dissertation “The ‘bad boys’ of Wall Street: A network analysis of insider trading, 1979–1986” (2004)⁠, Hansen examines a similar white collar crime: securities and commissions fraud. Hansen applies a variety of sociological methods to answer a wide range of hypotheses, but her social network analysis’s scope of study can be summarized with the following research question: how do social network structures, and, specifically, their density, size, and degree of connectedness, impact insider trading? Similarly, Hansen also relies on secondary data analysis – the quantitative measures being borrowed from Stearns & Allan’s “ Economic Behavior in Institutional Environments: The Corporate Merger Wave of the 1980s” (1996)⁠, Stewart’s Den of Thieves (1992)⁠, Auletta’s Greed and Glory on Wall Street: The Fall of the House of Lehman (1986)⁠, and Bruck’s The Predator’s Ball: The Inside Story of Drexel Burnham and the Rise of the Junk Bond Raiders (1989)⁠. Hansen utilizes a more traditional social network analysis design, in which network metrics such as centrality and density are directly relevant to the research question, and, consequently, constructs network data that interconnects Wall Street traders as the network’s nodes. 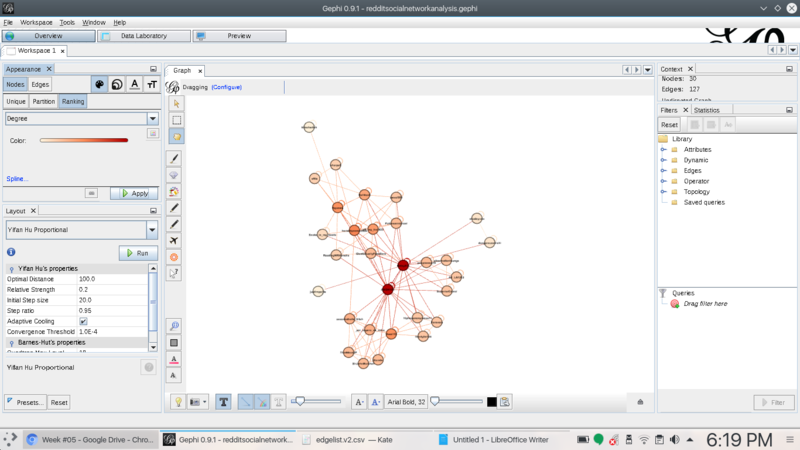 Hansen constructs two networks: a legitimate network, in which traders are connected through legitimate business relationships, and an illegitimate network, in which traders are connected through illicit transfers of money or information. Perhaps primed by the title of one of her secondary sources, Den of Thieves, Hansen anticipated that the network’s size and density would increase over time as the illegitimate network grew, but found that the size remained constant, and that the density actually decreased, reflecting, perhaps, that her illegitimate actors were self-motivated and tight-lipped. 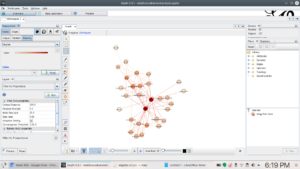 However, Hansen does demonstrate that a link exists between her legitimate and illegitimate networks, and that connectedness and centrality were key measures which patterned insider trading for her sample. White collars crime are frequently thought of as being difficult to identify, and even more difficult to prosecute, but the application of these techniques appears to demonstrate their persisting prevalence. In any given instance, it seems, the influence of money on an individual’s decision-making process can be explained away as circumstantial, but, when such an individual is implicated in a larger network characterized by individuals in similarly compromising positions, their culpability seems much more transparent. Too often the rest of the world is characterized as wildly corrupt and antithetical to American values, when, increasingly, researchers seem to indicate that the US is similarly corrupt, if not exceptionally more corrupt, than the countries which politicians single out to illustrate American exceptionalism. Auletta, K. (1986). Greed and Glory on Wall Street: The Fall of the House of Lehman. New York: Warner Books. Bruck, C. (1989). The Predator’s Ball: The Inside Story of Drexel Burnham and the Rise of the Junk Bond Raiders. New York: Penguin Books. Hansen, L. (2004). The “bad boys” of Wall Street: A network analysis of insider trading, 1979–1986. University of California Riverside. Stearns, L. B., & Allan, K. D. (1996). Economic Behavior in Institutional Environments: The Corporate Merger Wave of the 1980s. ASR, 61, 699–718. Stewart, J. B. (1992). Den of Thieves. New York: Simon & Schuster. 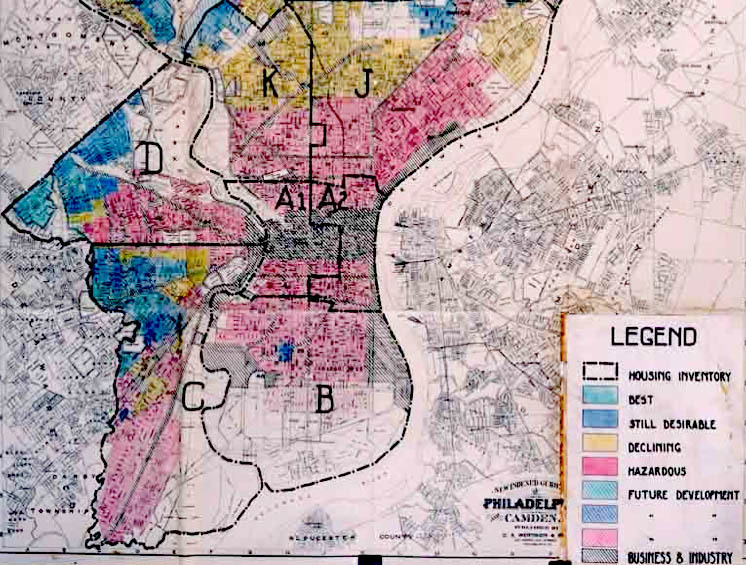 A significant factor in historic housing segregation, the practice of redlining dominated lending practices from the 1930s until the passage of the 1974 Equal Credit Opportunity Act (Massey & Denton, 1998)⁠. The New Deal-era Federal Housing Authority (FHA) was required by law to classify neighborhoods according to financial risk, and to use these metrics as criteria in the processing of mortgage applications, resulting in a racially stratified redistribution of wealth. With the arrival of Levittowns and white flight, a pro-segregation culture began to manifest within FHA publications, which endorsed racial homogeneity at the neighborhood level (Loewen, 2006)⁠. The federal government’s efforts to increase home ownership rates has been described as “one of the greatest mass-based opportunities for wealth accumulation in American history,” but, to the extent that the federal government purposefully tried to maintain the property values of white neighborhoods at the expense of people of color, this opportunity was denied to people of color, and is thought to be a major component in the historic racial wealth gap (Oliver & Shapiro, 2006, p. 18)⁠. 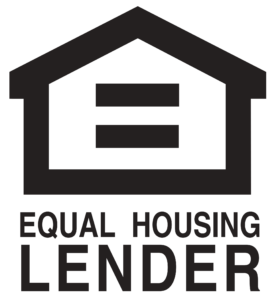 While the racial wealth gap and housing segregation would continue to persist, this lending paradigm was shattered following the Civil Rights Era. 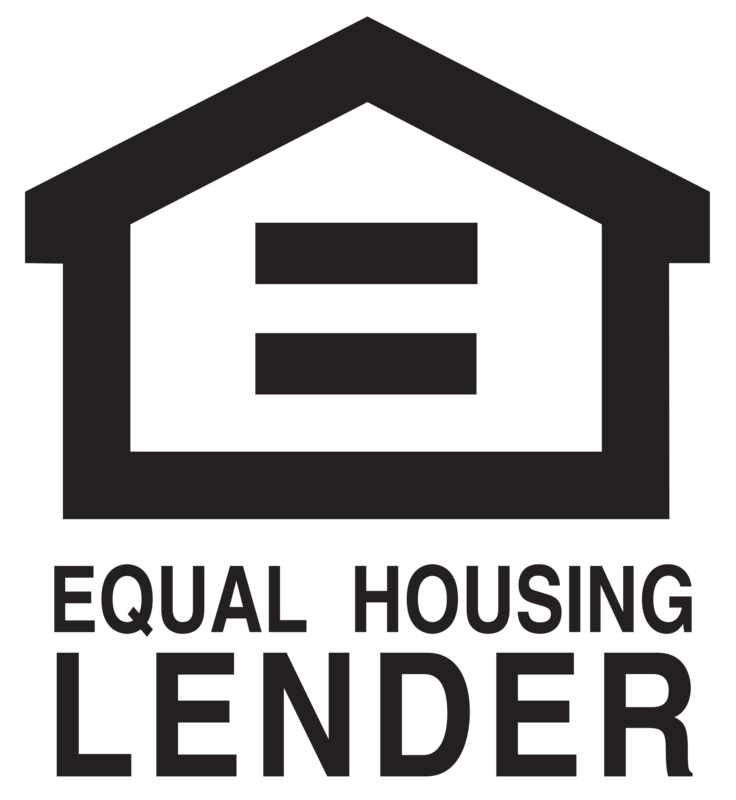 As political momentum increased for the eradication of both de jure discrimination and the remaining New Deal and Great Society scale social spending programs, the federal government implemented the Equal Credit Opportunity Act of 1974, as well as the Community Reinvestment Act of 1977, which explicitly prohibited redlining and similarly overt racial discrimination in lending practices. While allegations of redlining practices would continue, a distinction between process-based discrimination (in which lending decisions are made according to overtly discriminatory criteria) and outcome-based discrimination (which focuses on the disparate impact caused by lending decisions) ultimately characterized the academic conversation (Ross & Yinger, 2003)⁠. While Ross & Yinger (2003) used these terms to describe the mortgage market, the same concepts could easily be applied to the explosion of consumer credit which would come in the following decade. 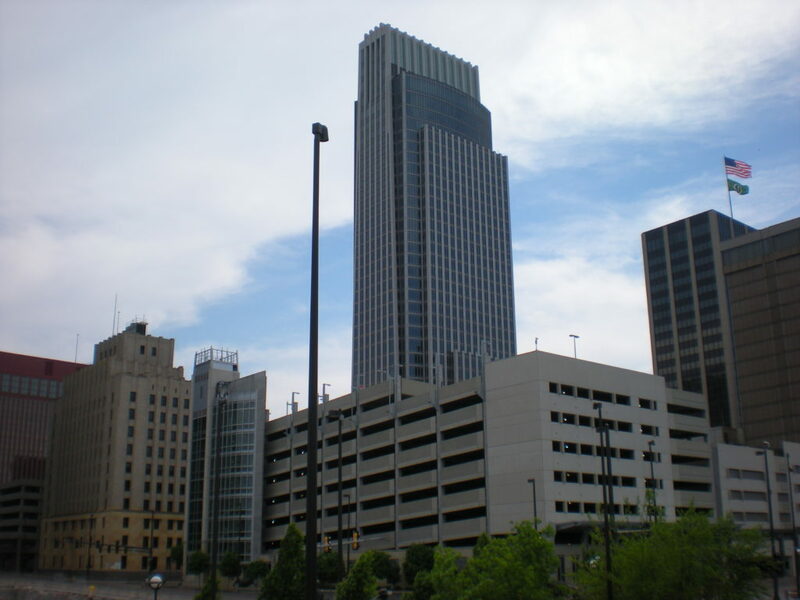 The following year after the passage of the Community Reinvestment Act, Marquette National Bank of Minneapolis v. First of Omaha Service Corp. (1978) reached the Supreme Court. The plaintiff, Marquette National Bank, alleged that First of Omaha Service was violating state usury laws by offering consumer credit to customers across the country, regulated only by Nebraska’s liberal usury laws. In a unanimous decision, the Supreme Court upheld this practice as legal, effectively legalizing usury nationwide, and “allowing lenders to price in the cost of loans to riskier borrowers” (Trumbull, 2012)⁠. This decision paved the way to a massive increase in consumer debt, as access to credit was, nominally, democratized – however, as the Federal Reserve Board was soliciting testimony on the implementation of the Equal Credit Opportunity Act, the infantile consumer reporting industry made it clear that credit access would be anything but democratic. In their pursuit of quantifying risk, bankers demanded the right to consider marital status, usage of birth control, or whether or not a newlywed took her husband’s surname (Williams, 2004)⁠. While these criteria didn’t all make it through the federal rulemaking process, shockingly, scoring by zip code did, allowing “banks to surreptitiously continue to score race, class, and national origin, using zip codes as their proxy” (Williams, 2004, p. 16)⁠. As access to consumer credit demonstrably rose over the coming decades, the scope of the consumer reporting industry’s scoring project increased dramatically, which is now estimated to score consumers, on average, once every calendar week (Thomas, 2000)⁠. These scores are thought to be “far better predictors of outcomes than broad measures of educational attainment or racial classification,” and, yet, despite their individualized sense of objectivity, assertions of outcome-based discrimination persist (Fourcade & Healy, 2013, p. 570)⁠. 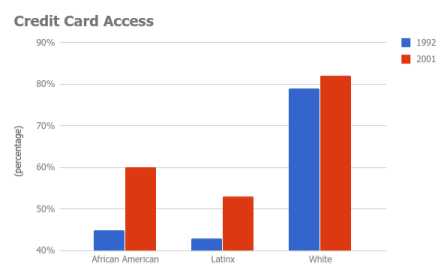 Instead of overt classist or racist discrimination, it is argued, these credit scoring metrics serve as methods of classification, used by gatekeepers to guard access to material goods – a Foucaultian “dividing practice in which the ‘bad’ are separated from the ‘good’, the criminal from the law-abiding citizen, the mentally ill from the normal” (Burton, 2012, p. 114; Fourcade & Healy, 2013)⁠. Yet, despite this rhetoric, academics still argue that the financial system has resulted in a discriminatory disparate impact. Failure to qualify for credit, it is asserted, pushes consumers into a relatively expensive credit market of last resort, where marginalized and underbanked customers are required to pay predatory fees for access to financial services (Carruthers & Kim, 2011; Fourcade & Healy, 2013)⁠. Similarly, access to mortgages, which is now largely governed by credit ratings, is described as a “dual mortgage market,” where individuals without access to credit are required to take on so-called subprime mortgages in order to purchase a home (Immergluck & Wiles, 1999)⁠. Not surprisingly, the dual mortgage market’s impact has been to exacerbate wealth loss in communities of color, via a mechanism not all that different from historic redlining (Rugh & Massey, 2010)⁠. 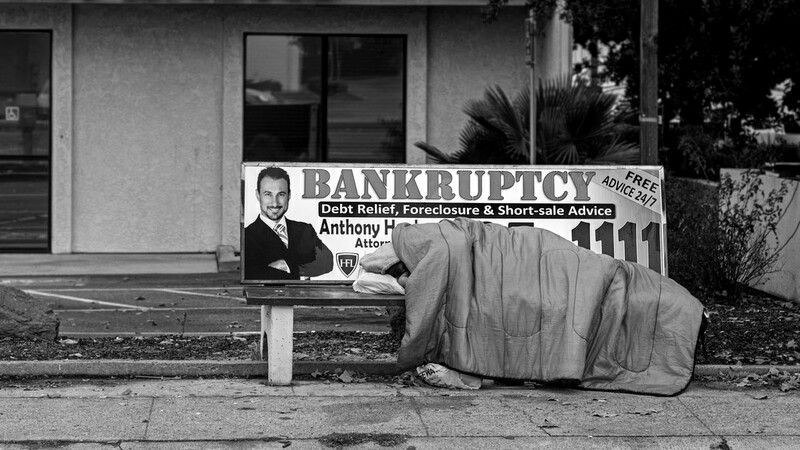 Man sleeping on public bench, Atlanta, GA. Photo by Adam Hermann. Despite these developments, the individualized nature of credit scoring complicates collective action. Increasingly, financial responsibility is equated with personal morality, and financial irresponsibility is stigmatized (Graeber, 2011; Pathak, 2014)⁠. Furthermore, the consumer reporting industry has expanded to offer “thousands of ‘consumer scores,’” expanding both the scope of their surveillance, and the responsibilities of the typical consumer significantly, through the application of these credit scoring strategies in non-financialized domains (Pasquale, 2015, p. 33)⁠. 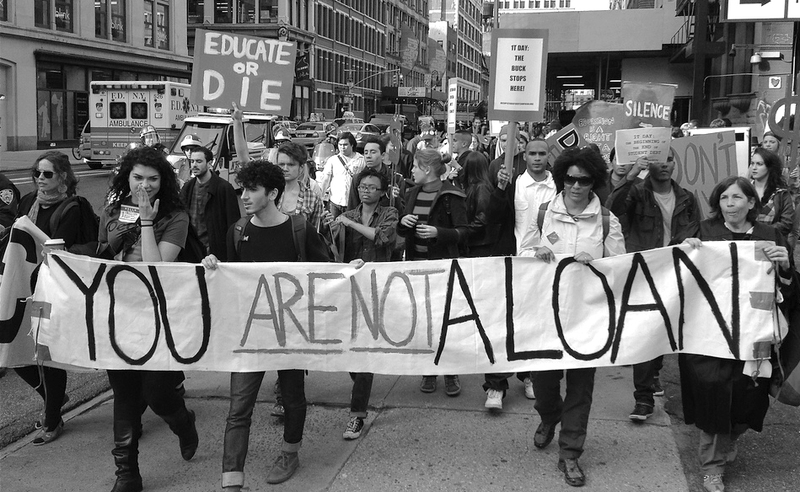 While some political organization exists, such as Occupy Wall Street’s Strike Debt movement, scoring metrics and questionable lending practices persist, and increasingly capture scores of young people via the growing student debt bubble (Draut, 2006; Strike Debt, 2014; Williams, 2004)⁠. Occupy Wall Street (2011). Uncredited. Draut, T. (2006). Strapped: Why America’s 20- and 30-Somethings Can’t Get Ahead. New York: Anchor Books. Graeber, D. (2011). Debt: The First 5,000 Years. Brooklyn: Melville House Publishing. Immergluck, D., & Wiles, M. (1999). 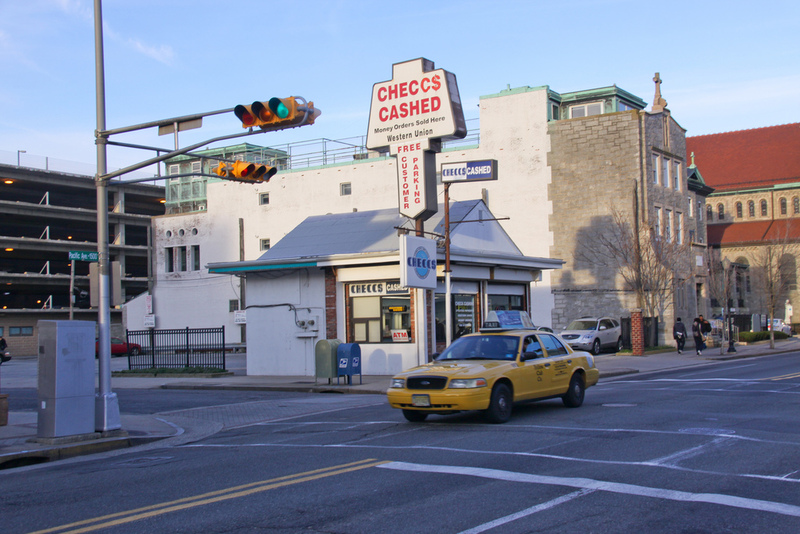 Two Steps Back: The Dual Mortgage Market, Predatory Lending and the Undoing of Community Development. Chicago: The Woodstock Institute. Loewen, J. W. (2006). Sundown Towns: A Hidden Dimension of American Racism. New York: Simon & Schuster. Massey, D. S., & Denton, N. A. (1998). American Apartheid: Segregation and the Making of the Underclass. Cambridge: Harvard University Press. Oliver, M. L., & Shapiro, T. M. (2006). Black Wealth / White Wealth: A New Perspective on Racial Inequality (2nd ed.). New York: Routledge. Pasquale, F. (2015). The Black Box Society. Cambridge: Harvard University Press. Ross, S. L., & Yinger, J. (2003). The Color of Credit: Mortgage Discrimination, Research Methodology, and Fair-Lending Enforcement. Cambridge: The MIT Press. Rugh, J., & Massey, D. (2010). 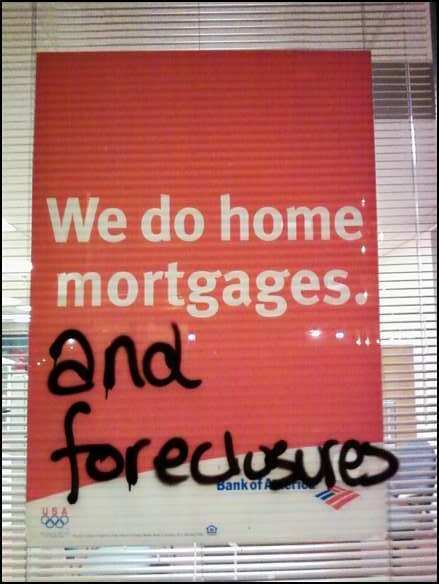 Racial Segregation and the American Foreclosure Crisis. American Sociological Review, 75(5), 629–651. Strike Debt. (2014). The Debt Resisters’ Operations Manual. Oakland: PM Press. Williams, B. (2004). Debt for Sale. Philadelphia: University of Pennsylvania Press. I think, for my small scale social network analysis paper, I will be using my dataset from the StudentLoans subreddit (link this). In their content analysis of a peer support forum for consumer debtors, Stanley, Deville & Montgomerie (2016)⁠ argue that sharing information about their debts, within the context of a culture that increasingly associates financial wellbeing with morality, constitutes a source of resistance to creditors. Within their content analysis, Stanley, Deville & Montgomerie (2016)⁠ identified two primary types of posts in these peer support forums: troubleshooting posts, where individuals were looking for technical assistance with their debts, and journeying posts, where debtors seek emotional support. I’ve selected the StudentLoans subreddit because, based off my observations of the various subreddits related to student debt, I anticipate that the StudentLoans subreddit will be more inclined to troubleshooting-type posts, which will help my project stay in conversation with Stanley, Deville & Montgomerie (2016)⁠. Part of this project is a small-scale content analysis, ideally into a binary category that can be depicted as edge attributes on a social network analysis graph. I’m anticipating that I will probably categorize posts into the categories of “troubleshooting” and “political discussion,” but if I feel that the sampled threads are better represented with different categories, then I do will so. Primarily, I’m interested in the capacity of online peer support as a form of resistance against financial debt, so my research questions will be as follows: 1) what is the structure of the social network formed by interactions in the StudentLoans subreddit?, 2) do prominent members of the community favor discussion in one kind of post over the other?, and, 3) do newcomers to the community favor discussion in one kind of post over the other? Essentially, if these peer support forums are instruments of resistance, I’m interested in testing their resilience – do posters get burnt out telling individuals when they should consolidate their loans and when they should challenge something, or maybe it’s just all held together by a core group of highly motivated individuals? Methodologically, I will be utilizing Reddit data which I gathered via the Reddit API – I’ve written up the process here (link this). I might actually pull this data again now that I’m more comfortable working with json files, because I think there are some data fields available that my script didn’t pull, but I doubt that will change my methodology for this paper significantly. I’m not aware of too many explicitly sociological papers using Reddit data, although I’ve definitely seem some that use it as a component of a broader social media analysis, although one study that does utilize a similar methodology for data collection is Kilgo, Yoo, Sinta, Geise, and Suran’s (2016)⁠ “Led it on Reddit,” which investigates opinion leadership on Reddit. Similarly, they also pull data from the Reddit API, and while they don’t employ social network analysis, I think that they might have really benefited from it as much of their analysis centers around popularity. Regardless, I think that my data collection and analysis will be effective without relying on a model, since I already tested some of it out on a previous practicum for this class – more pressing is if my methodology will be effective for answering my research questions. Similarly, I’m sitting on the fence on how I should define edges in my social network. On the aforementioned practicum, I considered “thread interaction,” or being present within the same thread (which seems reasonable, as this is the level at which information is transferred), which I think I’ll probably do again. 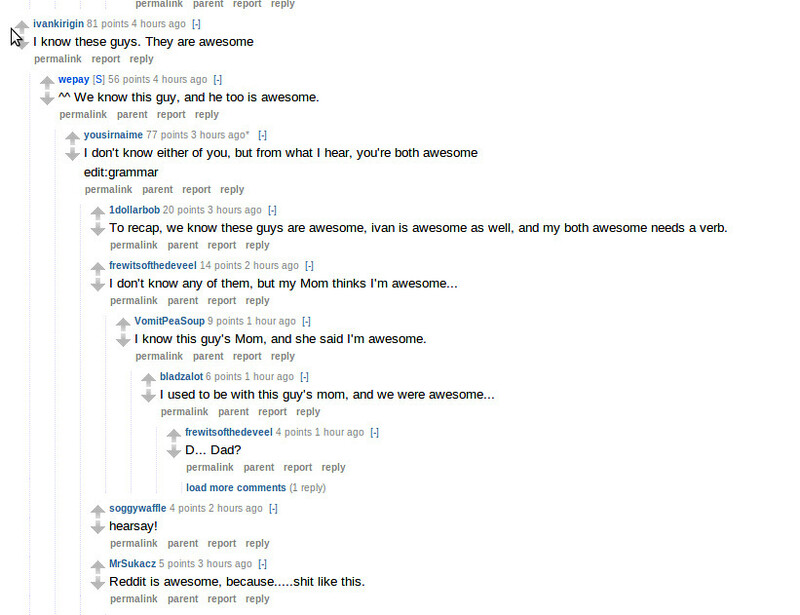 I could definitely use “direct replies” as a form of edges too, as Reddit employs nested comments where users can directly reply to each other, and while this design feels like it offers some more precision, I’m not sure how that precision would help with my specific research questions (see how these nested comments look in a typical Reddit thread below). Kilgo, D. K., Yoo, J., Sinta, V., Geise, S., Suran, M., & Johnson, T. J. (2016). Led it on Reddit: An exploratory study examining opinion leadership on Reddit. First Monday, 21(9). The four types of centrality used in social network analysis, degree, betweenness, closeness, and Eigenvector centrality, have a variety of different applications. Briefly, degree centrality is the total number of direct connects one node has with another, closeness considers the average distance from one node to the other nodes in the network, betweenness considers a node’s position within the totality of all shortest paths between any two given nodes within a network, and Eigenvector centrality rates the importance of the other nodes connected to the specific node in question. The application of these modes of centrality depends on the research question. For example, if one is interested in specifying individuals within a network that act as gatekeepers, betweenness might be the most appropriate metric, as it considers a node’s position in important paths within the network. Alternatively, if one is interested in the spread of a pathogen, Eigenvector centrality might help identify node that could compromise the entire network. If one is interested in determining who’s on the “inside” and who is relatively isolated within a network, closeness centrality would be a good choice. Finally, there’s degree centrality, which is somewhat descriptively weak as it doesn’t consider the broader network, but if a node exhibits a high level of degree centrality, it’s probably fairly important within its network. Measures of centrality don’t feature prominently within every analysis section that utilize social network analysis, but researchers frequently use these metrics to describe a network. For example, in Grandjean’s (2016)⁠ article, “A social network analysis of Twitter: Mapping the digital humanities community,” Grandjean constructs a directional network using Twitter following/er relationships, and ranks them according to degree centrality, betweenness centrality, and Eigenvector centrality – note, Grandjean uses in-degree and out-degree centrality measures, which indicate the direction of the relationships which the degree centrality ranks, because Grandjean’s data is directional in nature. Simiarly, Murthy & Lewis (2014)⁠ also construct social networks based off of social media data. They utilize a survey instrument which also informs much of their analysis, but one of the metrics which they utilize to find “hubs” within their network is degree centrality – they also analyze this population of individuals with high degree centrality and find that they are more likely to be women. Personally, I find this methodology surprising – given the authors’ interest in finding hubs, ranked centrality metrics might bolster the conclusions made from their survey analysis, and I think that it is a very practical form of analysis for social media projects. For some reason it’s weird to say out loud, or to type, but I was in a bowling league in high school. And, for me, I think I can comfortably say that it didn’t impact my likelihood to participate in the political system, integrate me with individuals that I could count on for support, pay off in the form of material benefits later in life, or increase my capacity to weather difficult times. In fact, I can say with complete confidence that I haven’t spoken a word to anyone remotely associated with said bowling league in ten years. Surprisingly, this didn’t discourage me from relentlessly citing Putnam as an undergraduate, because it’s kind of a wonderful ideology to make sense of both macro issues like our failed government, and micro issues, such as “why didn’t that jerk try to hold the door for me?”, and, since I don’t have a point of comparison to a time when even the cool kids were in bowling leagues, I can’t really dismiss the theory. Times have changed a lot since I was in high school though, and when I look around today I see people as politically engaged as they’ve ever been, and, through technology, people communicating more than, in all likelihood, any generation ever has. As Portes (2002) indicates, perhaps Putnam’s error is in treating an egocentric measure such as social capital in such a way that it could be measured like GDP, which certainly seems like some sort-of methodological fallacy, or maybe it’s just a good old case of rose tinted hindsight glasses, and while I’m certainly not going to disagree with the premise that high measurements of social capital are a positive indicator for any given individual, I don’t think Putnam’s writing has a lot of explanatory power relative to the political world. That said, I have always been sympathetic to his corollary point, which is that collective social capital is declining because people are watching absurd amounts of television – I doubt that collective social capital is declining significantly, but people are definitely watching an absurd amount of television, which always seemed like something that would be interesting to investigate. Also, to be fair, nobody goes bowling alone, they’re just not in silly competitive leagues anymore. My critique of social capital is twofold: 1) it’s association with the term “capital,” which, for me, must refer to a mechanism for maintaining relative class privilege, and 2) the concept from which it’s derived, capital, is already a social innovation. That’s not to say that I’ve reversed course, and will now use my blogs as a space to trivialize the importance of social networks – there is power in social organization, boons and consequences are inherent in every web of relationships, and our degree of social integration demonstrably shields us from diminished life outcomes – but, as Kadushin (2012) argues, comparing these concepts to financial capital produces something of a tortured simile. Labor exploitation, extraction, and colonial projects yielded financial capital. Europe did not set the world on fire to make friends; instead, they proposed a radically exploitative mode of financially deterministic relations to govern the world. If Warren Buffet runs out of sugar tomorrow morning, he might try to borrow some from his neighbor and establish a lender’s relationship of reciprocity, but until the economy of that friendship becomes commensurable with the extraordinary social upheaval that he might cause by, perhaps, taking a massive short position on a major employer simply because he has a hunch, I don’t really think it’s fair to suggest that these concepts are significantly comparable. Can one meaningfully quantify class? This, according to Fourcade & Healy (2013)⁠, is what has occurred in contemporary liberal states – except, instead of being used by social scientists, who would love to use these metrics “were they not trade secrets” (Fourcade & Healy, 2013, p. 570)⁠, it is, rather, employed by the financial industry in order to control access to credit, and the broader financial system (and, as is the trend within neoliberalism, this market logic is increasingly applied to non-market situations in individuals’ lives). Credit scoring, a nominally nonracial and nongendered project, evidently encapsulates more predictive information about an individual’s performance in a market economy than the whole of social scientific research, yet, as social science research indicates, traditional cleavages in regards to life outcomes still persist, which pivot on such axes of oppression as race and gender. The intersection of these seemingly contradictory conclusions is where Fourcade & Healy (2013) theorize, trying to decipher the nature of stratification in a financialized world. The algorithms that control these metrics, it is argued, are unique in that, by design, they delineate access to material resources on an individuated basis, instead of upon the basis of such group classifications as race, class, and gender. However, these algorithms don’t produce class, but, rather, classifications, which are used as criteria by gatekeepers who govern access to resources. The less access an individual has, the more they are forced to rely upon substandard financial products such as payday loans and subprime mortgages, creating a feedback loop between the classification metric and market performance. No longer burdened by overtly discriminatory criteria, the financial industry, as well as broader society, is able to shroud this classification scheme in the language of morality, encouraging consumers to volunteer the self-surveillance of their own consumption patterns, as only those individuals with enough so-called financial literacy are deemed worthy of upward mobility. 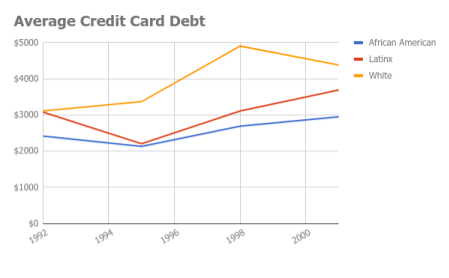 Yet, as Fourcade & Healy (2013)⁠ assert, these consumption patterns are more frequently determined by market position than moralistic thriftiness, as the poor are forced to pay higher proportions of lenders’ financing costs than their wealthy counterparts, in a sort-of self-fulfilling prophecy of financial proletariatization. The social network analysis perspective is a mode of analysis that unites one of sociology’s fundamental objects of study, the intersection between the individual and society, with modern analysis techniques. Specifically, social network analysis is rooted in Moreno’s sociometric analysis techniques, the “Harvard structuralist” school, and the Manchester anthropologist tradition (Keim, 2011)⁠. Whereas traditional quantitative projects are suited for comparing individuals and populations, social network analysis techniques allow the researcher to study specific relationships between actors, both directly and indirectly, in order to answer research questions that consider social relationships as a primary concern, such as research into socialization phenomena. Because social network analysts consider networks as opposed to comparing individuals or groups, the structure of the data they analyze consequently changes. Traditional research often focuses on measurements about these individuals or groups, taken in a vacuum that ignores their interactions. Conversely, social network analysts primarily study data directly relevant to the interaction of two actors. Specifically, this is known as relational data, and is typically understood as the data that specifies any two nodes’ relation to each other. This could be as simple as stating that a relationship between two actors exists, but could also specify the direction of that relationship, or other qualities such as whether or not a relationship is antagonistic. In a sense, relational data can be seen as similar to descriptive statistics in traditional studies, but quantitative social network analyses can go a little further. Descriptive analysis techniques can also be applied to a social network representation, allowing for measurements of centrality, distance between nodes, and clustering. Predictive analysis will, of course, demand an appropriate research question, but, given an adequate representation of the social network, researchers will find that social network analysis yields significant predictive power. Take, for example, the Richmond Police Department. Police departments across the country have employed a variety of predictive techniques in order to police more effectively, but, according to reporting by The Economist (2010), the RPD has included social network analysis within their toolkit. According to the article, Richmond police officers have to come to maintain relational data on suspects and their acquaintances. Furthermore, it is reported that they mine social media for data, especially in relation to predicting potential locations of parties. Of course, critics suggest that the end result of these techniques’ application has done nothing but reinforce problematic patterns of stereotyping and over-policing, but, according to the article, RPD and other departments employing similar predictive techniques claim to be able to reduce police labor-hours and, consequently, costs. Keim, S. (2011). The Social Network Perspective. In Social Networks and Family Formation Processes (pp. 19–30). Hackensack NJ: VS Research. In Christkis and Fowler’s (2009) work, Connected, the authors’ fundamental argument is that people’s behavior and emotions are affected by the people that they know, the people that those people know, and so on – in other words, by the social network which an individual is integrated in. The authors present four theses about life within social networks: 1) individuals shape their networks, meaning that individual preferences has some effects on their social network’s size and shape 2) that networks shape individuals, in that patterns in networks, such as the amount of connections somebody has, significantly affects that individual’s life outcomes, 3) that an individual’s friends affect them, in that individuals often emulate their friends’ behavior or emotional state, and 4) that an individual’s friends’ friends affect them (and friends’ friends’ friends, etc. ), which is an extension of the third rule – an individual’s friends’ friends can affect that individual’s friends, which, in turn, can affect the hypothetical individual in a chain reaction. Actions, behaviors, and feelings of people that you might not even know can create a cascading reaction, distributing the effect throughout the social network like a contagion. In many ways, this is common sense. As an example, the authors present one of Stanley Milgram’s experiments, in which Milgram uses a small crowd of people in New York City, who look at a specific building’s window at a specific time, in order to prime those around them to do the same thing. Milgram is interested in determining the critical point – how large of a crowd is needed to successfully prime typical New York pedestrian traffic to emulate the behavior? This is similar to the frequently repeated joke, which suggests that lines are so ubiquitous in contemporary society that people will queue up in an existing line simply because it’s there, even without knowing what the line is for, Milgram is able to successfully manipulate the individuals who weren’t “in” on the experiment to repeat the behavior. Another example of this phenomenon: William Whyte’s (1988)⁠ report and short film The Social Life of Small Urban Spaces. Whyte is tasked with trying to figure out why some plazas in New York City are able to attract crowds, and others are not, and comes up with some common sense observations. For example, Whyte observes that people are attracted to kiosks and food stands which, in turn, draws more people into the area, creating a clustering effect. Similarly, Whyte’s primary thesis is that available seating area is key – when enough people are sitting in a plaza, it invites other individuals to share the space. The Milgram and Whyte experiments may seem like common sense, but many of the observations that Christakis and Fowler (2009)⁠ make are not. 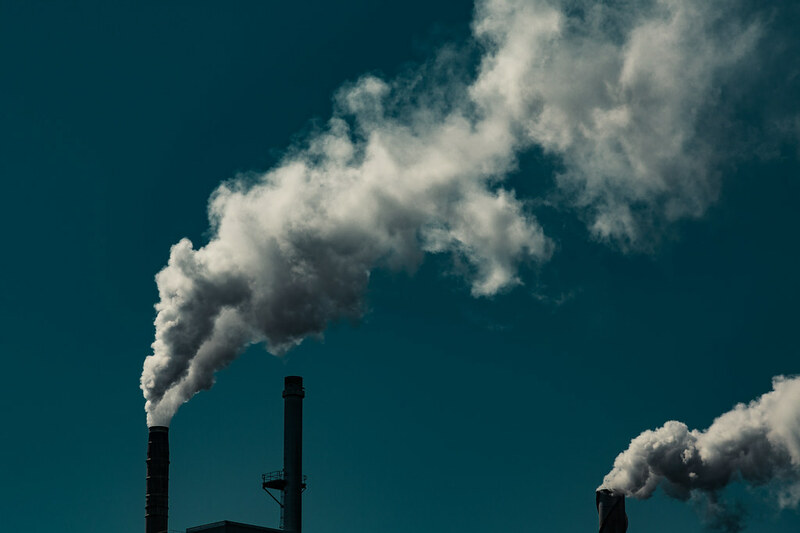 The authors identify surprising social epidemics that can be traced through social networks such as smoking, depression, voting, and even suicide. As the authors assert, given that social networks are increasingly identified as a causal factor in the spread of various social phenomena, understanding the form of these social networks is increasingly important. To this end, diagramming these networks with nodes that represent individuals, documenting their interpersonal relationships, as well as the shape and size of these networks in their totality can serve as a powerful analytical tool. Christakis, N. A., & Fowler, J. H. (2009). Connected:How your Friends’ Friends’ Friends Affect Everything You Feel, Think, and Do. New York: Little, Brown and Company. Whyte, W. H. (1988). The Social Life of Small Urban Spaces. USA. Like many universities, VCU’s one and a half billion dollar endowment has become a site of conflict between students and administrators, fighting over the ethical implications of the particular investments that VCU has made. On the one hand, to the extent that VCU invests in the multitude of businesses contributing to climate change1 (or, for that matter, anything problematic, but, then, there is also a history of divestment campaigns that climate change divestment campaigns can be situated within, lending credibility to activists), students’ concerns about the effects of their tuition payments on the world around them seem valid. College attendance is frequently motivated by a desire for a better job and larger pay – when contextualized with the increased funding for oil, coal and natural gas extraction that attendance causes, students appear less like aspiring scholars and more like profiteers. On the other hand, university officials often report a fiduciary responsibility to maintain diversified and profitable investment profiles (whether or not these officials actually have fiduciary responsibilities, as a matter of law, or if this is just a rhetorical technique is another matter), which could arguably reduce tuition, pay for instructors, improve facilities and provide increased funding for students. This apparent double bind is hardly typical of the university as an institution from a historical perspective, nor is it simply a component of a dominant and fixed ideological imperative that must be adhered to, but rather is a co-production of the development of neoliberalism and finacialization2. As asserted by Cornel West (2004), western democratic states are increasingly characterized by the reification of the firm (or corporation), aggressive militarism dominated by intangible, ever-present threats, and increasing authoritarianism, enabled by increasing faith in quantified accounting measures and a bureaucracy of technocratic managers3, thought to be uniquely capable of finding solutions to political problems (Swyngedouw, 2010)⁠. Government and public institutions are increasingly pressured to model themselves upon business (not that the adaptation of this model does anything to quell ideological opposition to government), and, in conjunction with an elevated emphasis on individualism, it is not surprising that the individual is expected to think of one’s self as a firm as well. All of these institutions, whether it is the privatized post service or the classic nuclear family, are now normatively required to seek profit for their beneficiaries, in the same way a corporation is normatively required to seek profit for the benefit of their shareholders, and the public university is no exception. This observation is not enough to explain the profit-seeking behavior of universities and university endowments, without the broader context of of the development of capitalism in the 20th century – the modern corporation simply isn’t analogous to the classic factory and its appropriation of unpaid labor. While the larger system is still structurally dependent on finding unpaid labor somehow, somewhere, increasing emphasis on the profit of shareholders in the 1980s demanded that corporations adapt the profit-generating strategies of shareholders, or, in other words, that they invest in other companies (Fligstein, 2001)⁠. So long as common economic wisdom holds diversification and and long-term investment as the safest vehicles to wealth, we will continue to see toaster manufacturers buying media outlets and public universities funding fracking and arctic drilling operations. In terms of the individual, normatively required to invest and diversify, but often incapable of paying the high opportunity cost of personal financialization, this need is often met through investment in the “total market fund,” which is essentially a symbolic investment in the market at large (including everything bad) – ironically, an act that erases whatever small impact individualized market choices might have had on the market in the first place, and situating the individual as small and unimportant in the larger corporate hierarchy of neoliberalism. Fligstein, N. (2001). The Architecture of Markets. Princeton: University of Princeton Press. West, C. (2004). Democracy Matters. New York: Penguin Books. 1Arguably, this includes the entire market, whether for being, in any which way, a component of the capitalist paradigm, or, otherwise, simply because of the observation that money is fungible. The former is a broader concept of the topic of this blog post, which specifically focuses ⁠on the neoliberal phase of the capitalist project, while the latter is something of a slippery slope argument that can make anything meaninglessly problematic. 2I’m tired of seeing, writing about and thinking about Trump, which is why I decided to focus on the somewhat more optimistic trend of local protest, but much of my discussion about this co-production could be applied to the public display/trainwreck of Trump trying to annihilate the very concept of “conflict of interest” from public discourse. 3An extraordinarily sad but telling example of this was on display in the fifth Republican debate, where candidates tried to manufacture contrast between each other through their insistence that their potential administrations could find more targets to bomb in Syria, which only served to reveal their own ignorance of the day-to-day world of the bureaucrat-soldiers actually waging the war. Jennifer A. Johnson on Decreasing income inequality?